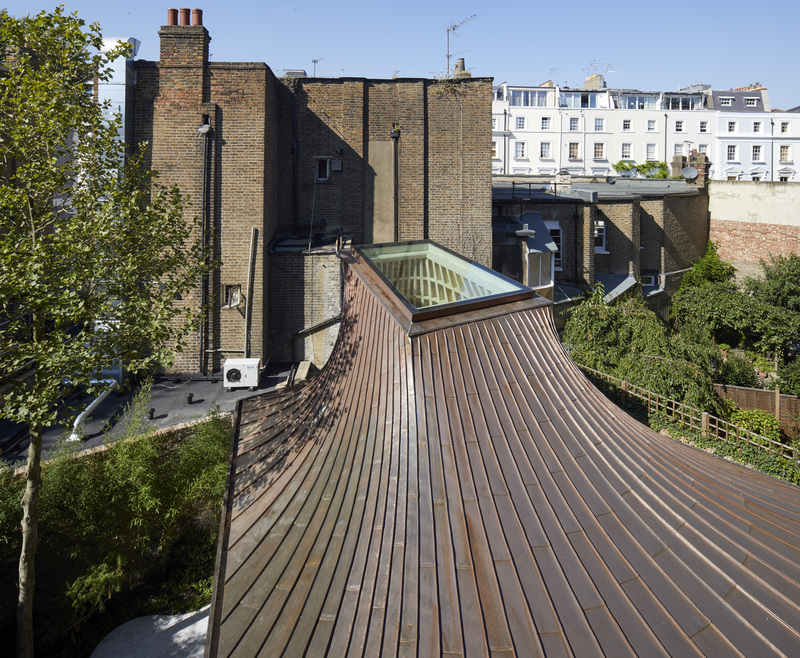 London-based Gianni Botsford Architects has designed an unusual dwelling featuring a copper-roofed pavilion and subterranean swimming pool. 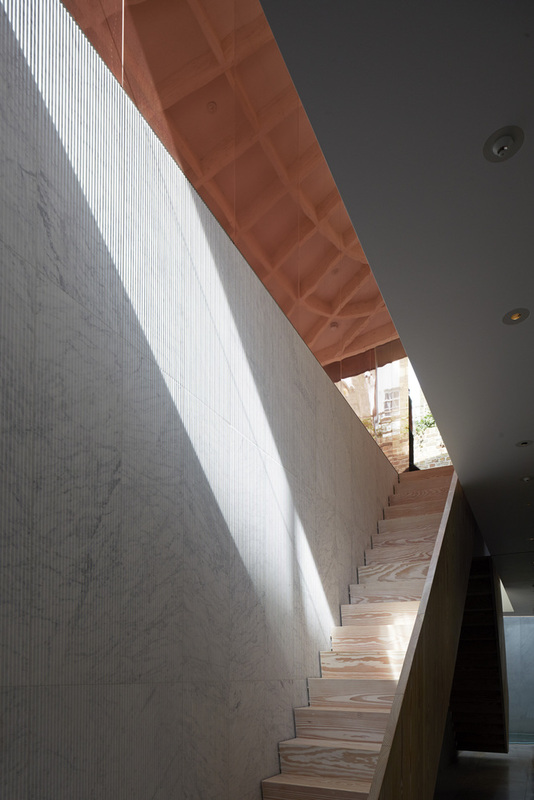 Accessed through a narrow passage alongside an 1840s townhouse, the project involved the demolition of a 1960s bungalow and its replacement with a largely subterranean house, including a swimming pool. 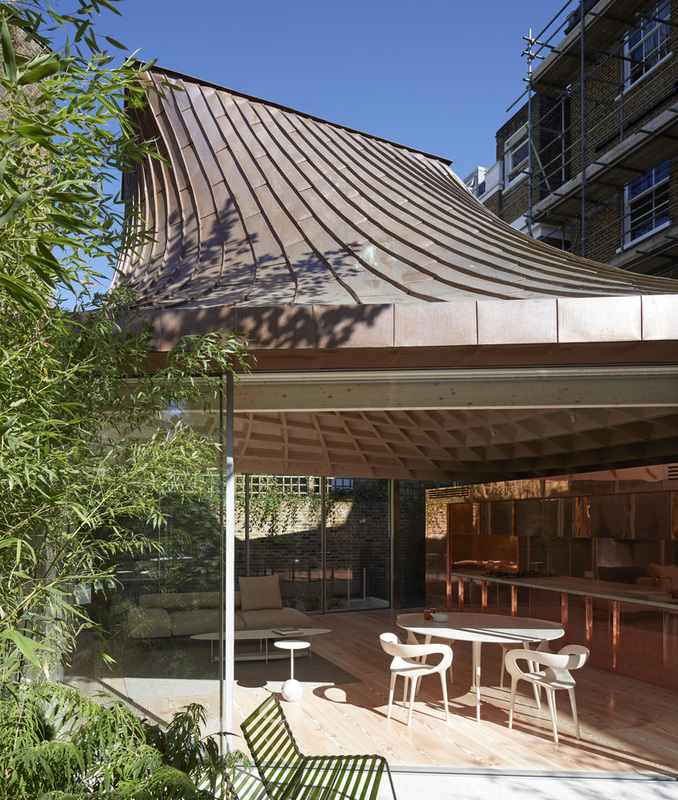 Externally, the most visible component of the house is its pavilion-like copper-clad roof. 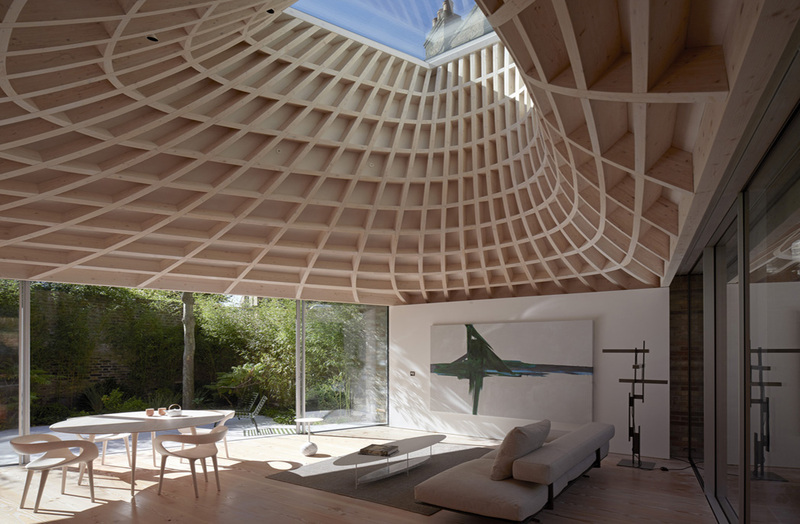 Inside, the roof is made from a complex glulam timber structure made from spruce, its double curvature concluding in a glazed oculus. 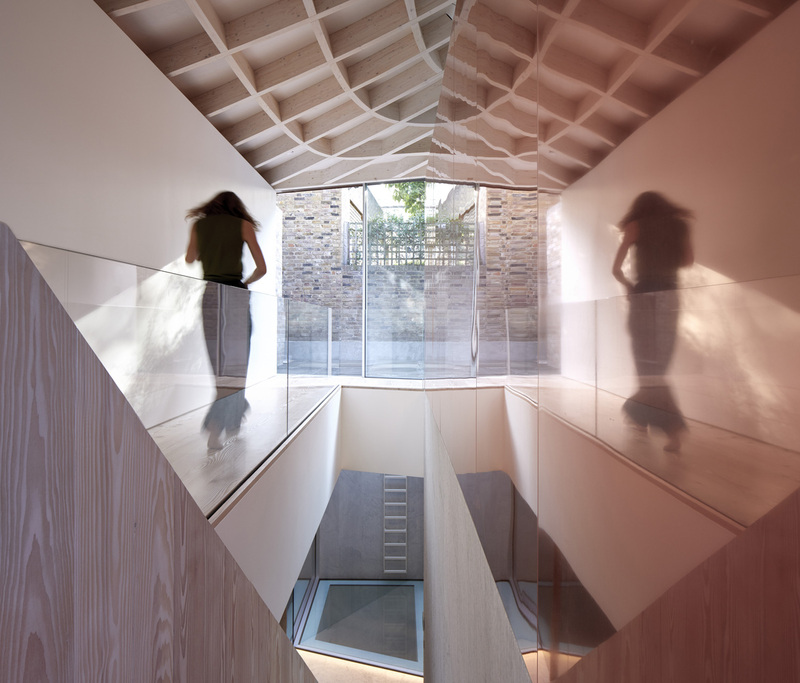 The roof has a floating quality set above a glass-walled living room that connects the interior of the house to the surrounding landscaped garden. 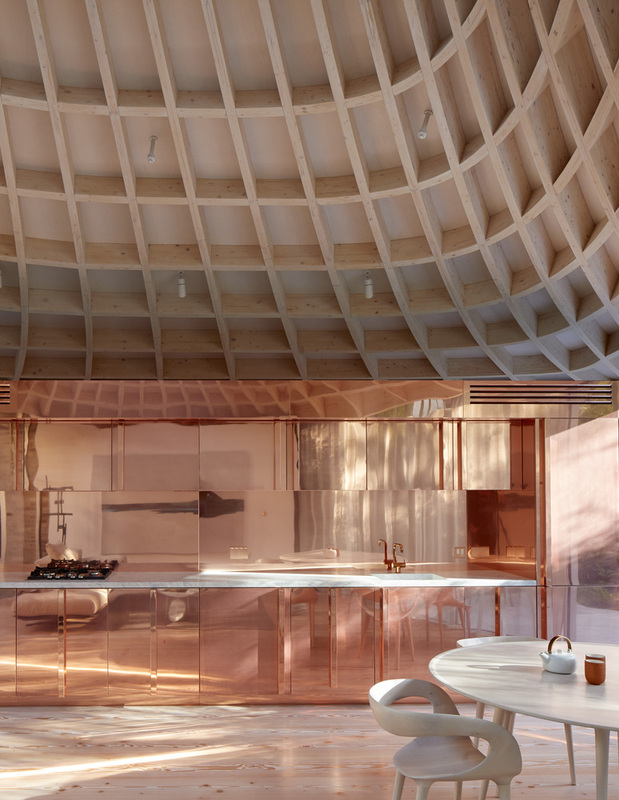 Each individual piece of the timber roof structure was pre-fabricated in the Dolomites from three-dimensional models Gianni Botsford Architects provided. The pieces were then brought to the site and craned into position in eight sections. Copper recurs throughout the house, in surfaces of the ground floor kitchen and in detailing of rooms below. The contrast between the cool and warm tones of Douglas Fir and carved Carrara marble adds to the “sensual quality” of the underground spaces. 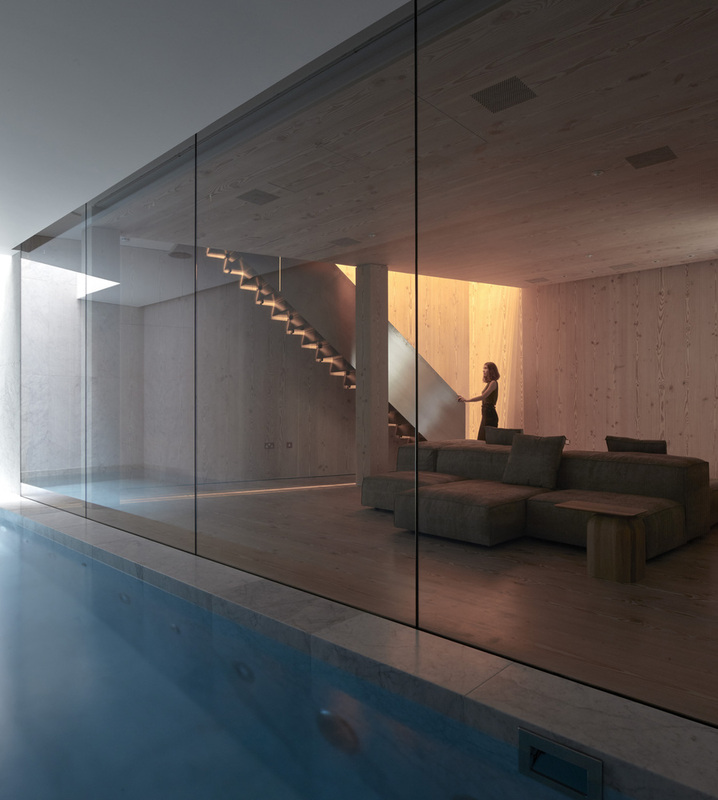 There are two levels below the ground floor; bedrooms are immediately below ground, while there is a generous living area with a 10-metre long swimming pool on a level further below. Lightwells and skylights are designed to optimise daylight casting toplight onto the walls of lower ground floors.